If you have a Garmin Edge 520, 705, 800, 810 or 1000 & Touring and you don't have maps; then you are wasting most of the value of your bike computer. I highly recommend that you purchase a micro SD card and spend 15 minutes to upload maps. It will open a whole new world. 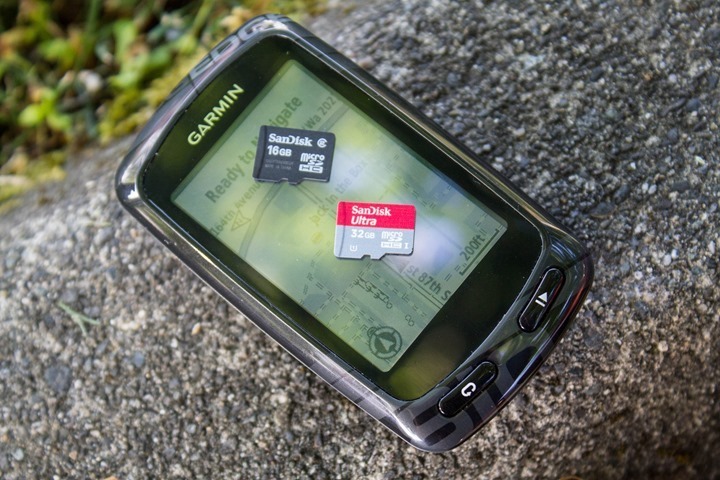 Save your phone battery for pictures, online bike fix instructions and the Uber for the third flat; there are cycling functions just better suited for your Garmin. These are almost everywhere Walmart, Pharmacies, Best Buy. I event saw one at a gas station (don't recommend buying there). A 32 GB SD card (which it plenty of space) will cost between $12 and $25 now (technology gets cheaper over time). Make sure you follow the instructions for your model of Garmin. And yes I did say 15 minutes but give yourself a half hour. If you are not at all technically capable but know how to turn on your PC, take an hour.